Excellent and the presentation was good too. The prints were of various sizes by many Magnum photographers. I am sure lots of the internet yahoos would have hated almost every single photo though because even many of the smaller prints (5x7, 6x9) were not eye cutting sharp when viewed at 3 centimeters. There would have been screaming and derision by the dogmatic extremists with their 10x loupes. Not sure about CA, distortion, and all the other things that so many people are obsessed with since I didn't even bother checking. They were wonderful viewed from a normal viewing distance. Very nice exhibition. If you happen to be in the area the exhibition runs until 2014/1/5. Probably about 90% of the photos in the exhibition are B&W. Some of the photos are famous iconic photos from Capa, Cartier-Bresson, et al that you have seen before. I was walking around late yesterday afternoon with my camera and I sort of wondered if all the photos in the exhibition had been taken with digital cameras if some of them, maybe a bunch of them, would have been deleted in the camera? I imagine these photographers are smart enough to not be over concerned (concerned, of course, but not over concerned) with all the technical details and let those things override what the image looks like and whether it is interesting. Fortunately, the photos had not been deleted. I will try to keep this stuff in mind. One of the things I miss about not being in Tokyo right now is the ease of seeing so many photo exhibitions. For the last 25 years I have a set of places I often check out since they have free exhibitions that tend to change about every couple of weeks. Some of them have moved locations over the years and a few have gone away and a few new ones have cropped up. The thread subject exhibition in Austin last fall was really good. I wish I could see it again. As I was working on some B&W photos today it reminded me of the exhibition. Marina, now that's what I am talking about! You are becoming a regular here on the forum. It would be helpful if your posts were a bit less cryptic though. What did you see that was a "little dirty"? Do you mean you saw this photo exhibition and it was a little dirty? 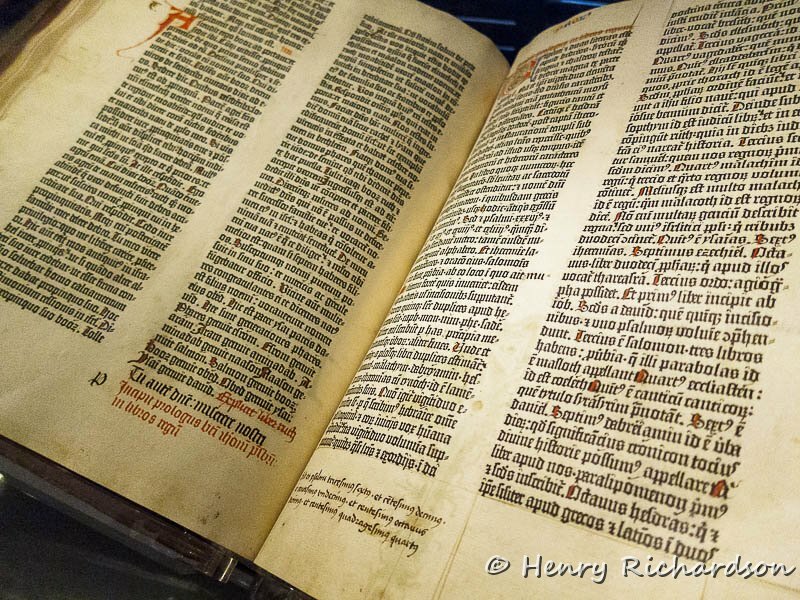 Or, maybe, you saw a Gutenberg Bible and it was a little dirty? I agree though, both were amazing! I don't do marketing, but I will try to file that tidbit of info away somewhere in a corner of my brain in case sometime in the future I need to do some. Thanks! Henry, Marina is just a fairly intelligent spam-bot. Parses the previous conversations in the thread, then, using word matches, interjects a mostly grammatically correct sentence. Thanks, Dusty. Yes, I know. She/he/it has livened up the forum a little though. bakubo wrote: I am sure lots of the internet yahoos would have hated almost every single photo though because even many of the smaller prints (5x7, 6x9) were not eye cutting sharp when viewed at 3 centimeters. There would have been screaming and derision by the dogmatic extremists with their 10x loupes. Not sure about CA, distortion, and all the other things that so many people are obsessed with since I didn't even bother checking. They were wonderful viewed from a normal viewing distance. So what I'd recommend is not necessarily choosing your lenses based on lens tests at all. Information is good, and good information like Roger's is infinitely better, but even good information is still just data. A good lens is one that does what you want it to do and that you feel good about...based on how the pictures look. Keep looking until you get there—whether finding it comes early or late, and whether the process is easy or difficult, casual or fanatical, or expensive or cheap. Don't let other people tell you what you're supposed to like, yes; but be mindful not to let lens tests dictate to you what you're supposed to like either. IQ = Image Quality should not be confused with the much more important QI = Quality Image. To have high QI you need to be a good photographer. Several times over the years I have posted about QI (Quality Image) being much more important than IQ (Image Quality). I think the reason IQ is obsessed over so much is because anyone can buy IQ, but QI can't be bought. It requires a good eye, talent, imagination, inspiration, luck, etc. QI (quality image) is more important than IQ (image quality). The best IQ in the world won't make a poor image good, but a good QI will often make viewers hardly notice the IQ.